The inspection of your basement prior to your renovation should also include…following your nose. Musty smells and mold spores usually are present in the depths of any basement, especially found in older homes that are more than five years old. As homes settle over time, the basement and the foundation do as well and can create weak points, which eventually come under attack by outside water and inside moisture or humidity. If you are detecting odd or musty smells, then following your nose should lead you right to the issue and it should be corrected before you start your renovation. In basements with lower ceiling clearances, the frequently used phrase of “duck your head” is a common occurrence, but it does not have to be if you want to relocate beams or ductwork. Some ceilings in basements have lowered ceilings that can be raised or removed in order to create more height, therefore eliminating the need to caution people to “duck”. Strategizing the ceiling in your basement renovation can open up your renovation plan extensively and even enhance the final result when it comes to choosing lighting and décor. 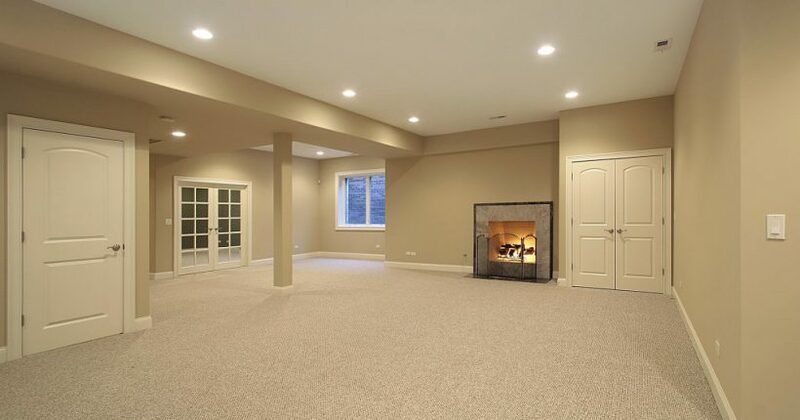 One thing that some people overlook when they are planning and executing their basement renovation is….the windows. Placement of windows (existing or new installs) is highly important, mostly for additional natural light, but also they need to be set in strategic places in order to avoid those people that are outside to be able to look in or break in. Also, the outdoor weather conditions can play havoc with the durability of window frames, so ensuring that any existing windows or new windows are exteriorly taken care of (water runoff, snow accumulation, etc.). Warm, Inviting & Smells GREAT! With the completion of your renovation, you should get the sense that your basement is a warm and inviting space that smells GREAT…not musty or “old”. That “freshly-painted” smell will eventually fade and you will be left with the actual odors that your basement is permeating naturally. This is why prior inspections for mold or musky smells need to be corrected so that all of your hard work will not resort back to the “traditional basement” odors. If you have any questions prior to starting your basement renovation. Contact an expert for help today!